Apply warm olive oil to your nails and massage properly for 5-10 minutes before going to bed. After applying or massaging you have to wear cotton gloves overnight. Follow the procedure once daily you definately see the gradual change. 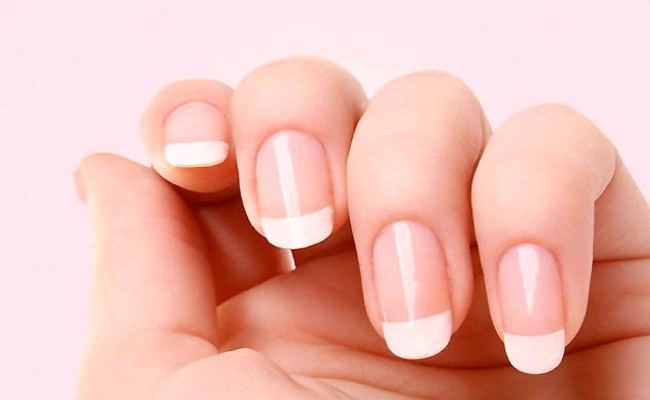 You can also soak your nails in warm olive oil for 25-30 minutes to grow your nails. Take an necessary amount of extra -virgin coconut oil. Massage your hands and nails with warm extra virgin coconut oil regularly or once a day at night. It is much effective to massage in circular motions to improve blood circulation. Take 1/4 cup of coconut oil,1/4 cup of honey and 5-6 drops of rosary essential oil and mixed them properly. Warm the mixture for few seconds. Now, soak your nails in the mixture for 15-20 minutes. Follow this procedure two or three times in a week. Take an necessary amount of orange juice and soak your nails in it for 15-20 minutes. Then wash your nails and hands properly,pat dry and apply some moisturizers. Follow the procedure once a day and regularly until you are satisfied with the results. Take 4-5 teaspoon of lemon juice and 7-8 teaspoon of olive oil and mixed it properly to prepare a nail soak. Heat or warm the mixture for few seconds. Now,soak your nails into the warm mixture for at least 15 minutes. Follow the procedure daily you will see the gradual change in few weeks. Drink horsetail tea once a day regularly for healthy nails. You can also take a diet like eggs,grains,tomatoes,cauliflower,carrots,oats,walnuts,peanuts,soybeans,almonds,cashews,milk,salmon etc.which helps you to get biotin. Take an necessary amount of flaxseed oil. Rub the flaxeed oil on your nails for 10-15 minutes gently. After rubbing completely for 15 minutes wear gloves for few hours to retain moisture. Follow the procedure twice or once a day. Take 1/2 cup of tomato juice and 7-8 teaspoon of olive oil. Mixed them properly until it changes into a nail soak. Then soak your nails in the mixture for 15 minutes. Follow the procedure once daily until you get the positive result. Take protein increasing diet like fish,beef,pork and eggs.It is very helpful in nails growth. If you are vegetarian then nuts,seeds,legumes,spinach and green vegetables are one of the best diet for you.